An opinion from the Internal Revenue Service may bar thousands of Western New Yorkers from taking their prepaid 2018 property taxes as a deduction on their federal tax return for 2017. The advisory issued Thursday states the IRS will allow taxpayers to deduct prepaid state and local property taxes on their 2017 returns, but only under limited circumstances. The key consideration, the agency said, is whether the real property taxes are "assessed" before 2018. While not uniform in their verdict, tax experts that The Buffalo News consulted generally said that means homeowners who prepaid an exact property tax bill are in good shape – but people who prepaid an estimated tax for 2018 are out of luck. 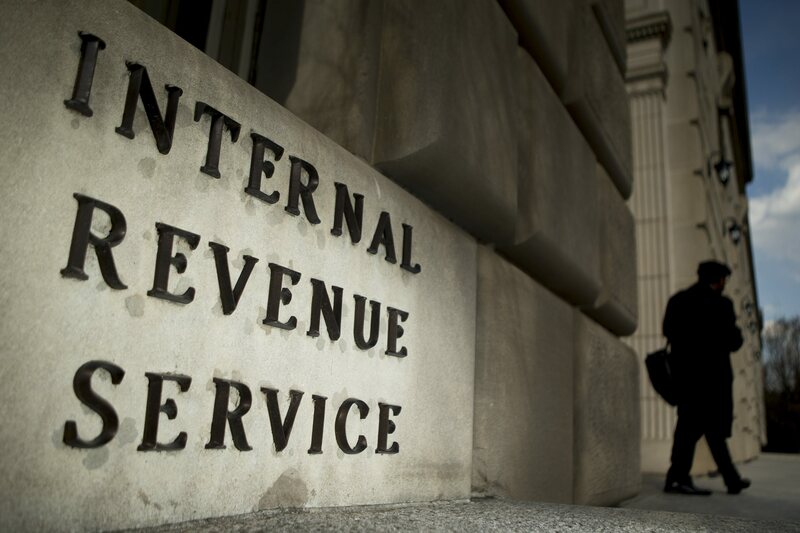 "The bottom line is, unless there's an assessment by the town and a bill issued, you're not safe in taking that deduction," said James M. Bandoblu, Jr., a partner in Hodgson Russ' federal and international tax practice group. In Western New York, homeowners in Buffalo can receive a precise bill for their 2018 city and county taxes, while Niagara Falls has calculated the city property taxes for next year. But the 25 towns and the cities of Lackawanna and Tonawanda in Erie County are making do with estimated taxes, and this IRS advisory casts doubt on the deductability of any prepayments. The absence of exact 2018 property tax bills is a reflection of the last-minute scramble of town, city and county officials to try to help property owners take advantage of a potential tax deduction before the end of the year. Should you prepay your property taxes this year? The new tax reform bill signed into law by President Trump reduces the amount of state and local taxes a person can claim as deductions on his or her 2018 federal tax return and fewer people may itemize deductions on their 2018 return because there's a larger standard deduction. That drove people across the country, and in Western New York, to see if it made sense to prepay their property taxes this year. Gov. Andrew M. Cuomo approved an executive order this month making this easier, and counties then issued tax warrants and bills that paved the way for municipalities to collect the taxes. The towns and cities began collecting town, city and county property taxes on Tuesday. But in Erie County, the towns on Tuesday afternoon received from Erie County their tax warrants, which states how much property tax is to be collected in 2018 in the town as a whole. That's not each taxpayer's bill, which has yet to be issued and printed by the county. For that reason, homeowners in the county's suburbs only can prepay estimated taxes for 2018. But based on the language in the IRS advisory, Steven Elwell, a vice president with Level Financial Advisors in Amherst, said he doesn't believe the IRS will accept the estimated payments from those homeowners as a deduction. "I'm certain it leaves them very frustrated," Elwell said. He did say this appears to be the latest round in the back-and-forth between the federal government and the Cuomo administration over tax policy. "I don't know if this is the end of the story," said Elwell, who wondered how and whether Cuomo's office will respond. Elwell said he would caution anyone to consult with his or her own tax professional before trying to take a prepaid estimated tax payment as a deduction, given this advisory. That, on its own, likely wouldn't trigger an audit, but it would come up if the IRS is conducting an audit for another reason. He questioned the benefit given the taxpayer is entering a gray area. Bandoblu, the tax attorney, said the IRS advisory is just that, and not a law, but he said anyone trying to take the deduction on an estimated payment faces long odds and a potentially costly fight. "And here, it's probably not even going to be cost-effective," Bandoblu said, relative to parts of the state with higher-valued property. Tony Illos, a local tax preparer, was more willing to roll the dice and saw little downside for his clients who prepaid an estimated tax and wanted to take the deduction. "Nothing ventured, nothing gained," Illos said, adding, "Worst case scenario, it gets disallowed." Town and county officials said they still are working to help property owners prepay their taxes before the end of the year. The advisory "doesn't change our policy or our operation," said Marjory Jaeger, the Amherst town clerk, who said her office had collected $2 million in prepaid property taxes as of the close of business Wednesday. Erie County Executive Mark Poloncarz had warned at a news conference on Wednesday that officials made no promises the IRS would accept the prepayments as a deduction. His spokesman on Thursday pointed to that statement, and said the IRS advisory didn't change the county's role as a facilitator in the process. Stephen T. Watson – Stephen T. Watson reports on development, real estate and business in the towns of Amherst and Clarence, along with development, government and school districts throughout the Northtowns. A native of the Town of Tonawanda, he worked at the Post-Standard newspaper in Syracuse before starting at The Buffalo News in 2001.